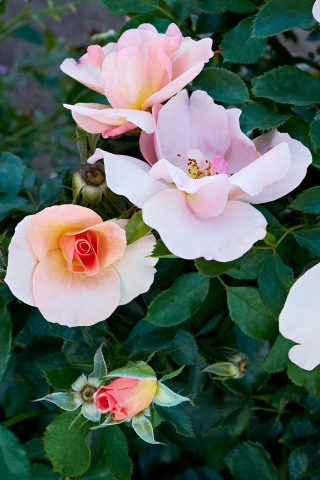 VINELAND STATION, Ontario--(BUSINESS WIRE)--A new bloom has dawned in Vineland’s 49th Parallel Collection of bred-in-Canada garden and landscape roses. Vineland Research and Innovation Centre (Vineland) officially released Chinook Sunrise™, the second in a series of roses developed for their hardiness and ability to blossom almost anywhere in Canada. The rose was unveiled at Canada Blooms, Canada’s largest garden and flower festival. Chinook Sunrise succeeds Canadian Shield®, the wildly successful first release in the collection. The red rose was launched in 2017 to mark Canada’s 150th birthday and has been a popular addition to gardens nationwide since then. Canadian Shield was named Canada Blooms’ 2017 Plant of the Year. More information is available at 49throses.com including details on Aurora Borealis™, the next rose in the collection set for release in 2021. With a highly-skilled research team, oversight from an independent Board of Directors, engagement from an international Science Advisory Council and collaboration with 86 global partners including a Stakeholder Advisory Council, Vineland’s goal is to enhance Canadian growers’ commercial success through results-oriented innovation. We are an independent, not-for-profit organization funded in part by the Canadian Agricultural Partnership, a federal-provincial-territorial initiative. For the latest on our research and innovation, visit www.vinelandresearch.com.